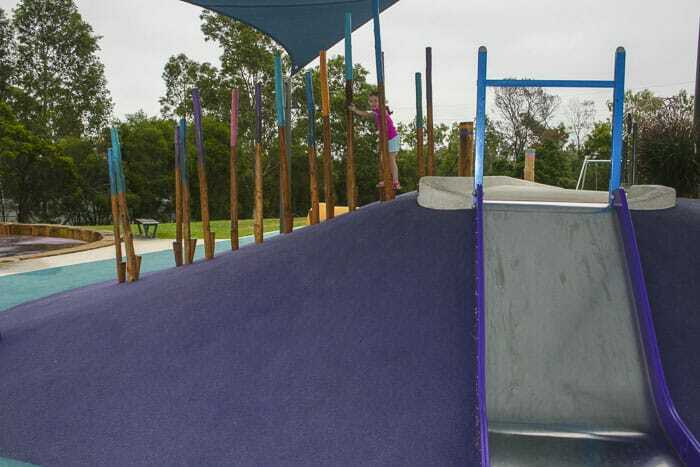 This new Livvi’s Place has a bushy feel in parts, as well as some seriously modern play equipment. 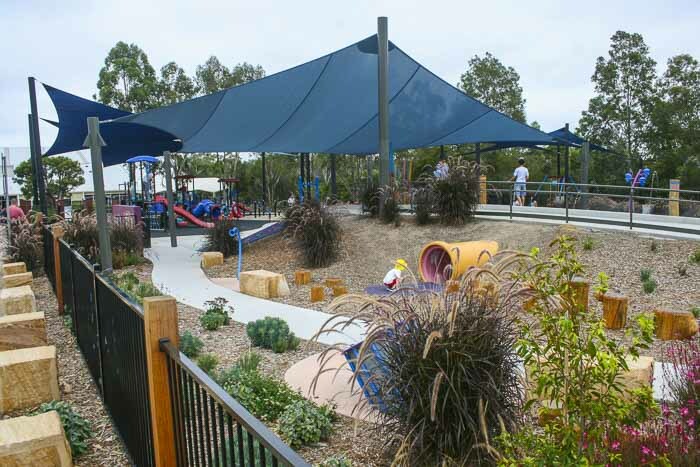 This playground is a cracker, the Livvi’s Place playgrounds really are very special places. 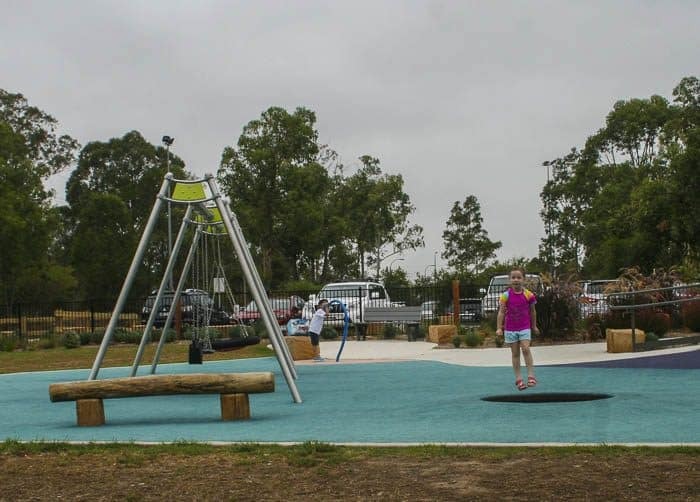 We have always loved this park, however with the upgrade completed in September 2017, the playground at the Bernie Mullane Sports Complex is even more amazing. It is now known as Livvi’s Place as the upgrade was in conjunction with the Touched by Olivia Foundation and so is ideal for all levels of mobility and ability, young and old too. 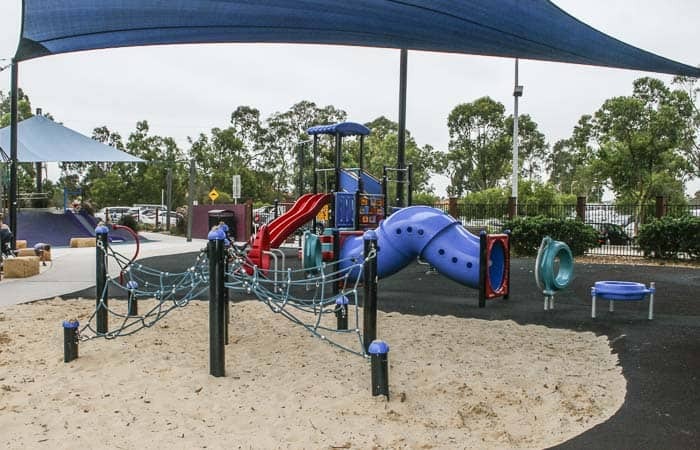 The playground is also fully fenced to help protect your little explorers. 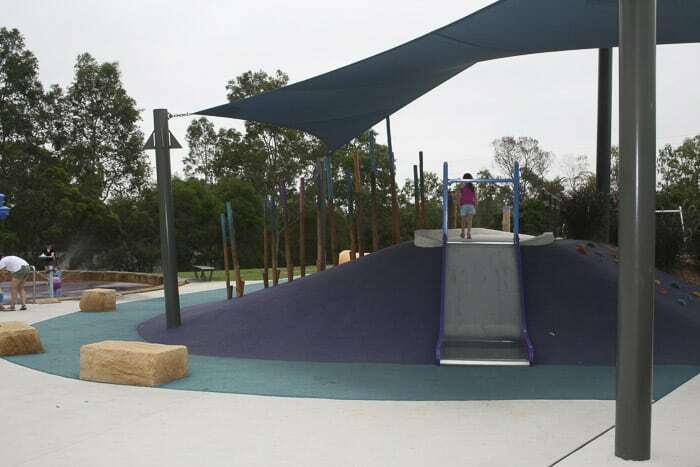 The park has always featured swings (including a Liberty Swing), seesaw, roundabout, rockers, a climbing net, a tunnel and various balancing obstacles as well as two large multi-featured climbing forts with slides, bridges, ladders and interactive panels. 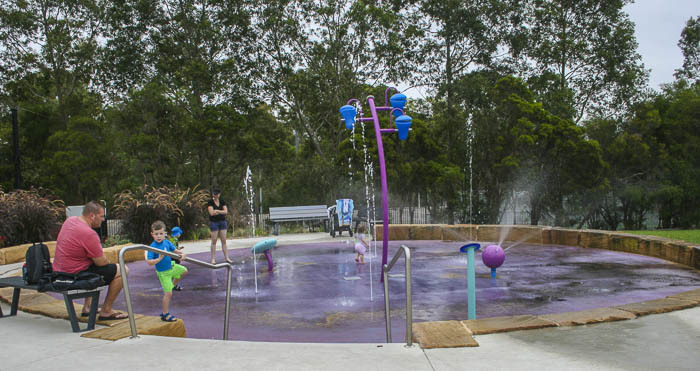 It has now doubled in size to include a waterpark, in ground trampolines, musical features, a soft fall covered climbing hill and a small track that would be ideal for small scooters. 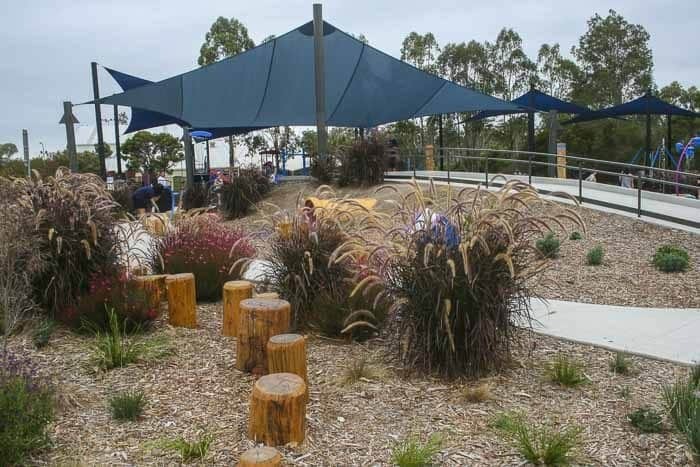 Also added are BBQs and some covered seating, although due to its popularity, a picnic rug for the grass spaces would be a good idea of you were planning to stay for a while. 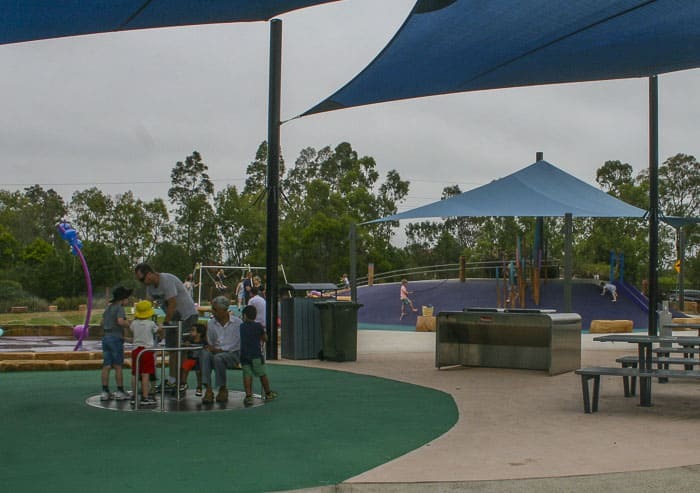 Whilst parts of the play equipment and seating area have large shade clothes, the waterpark, trampolines and swings are not shaded so remember hats and sunscreen. 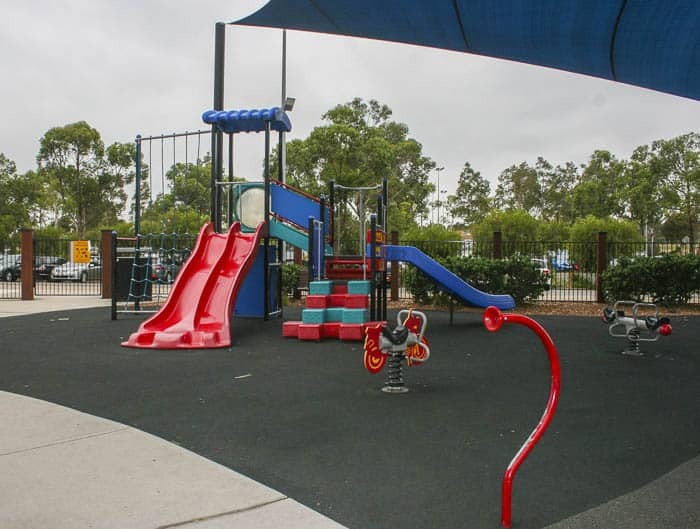 As well as having the Livvi’s Place playground, the sports complex also has playing fields, tennis courts and a gym. 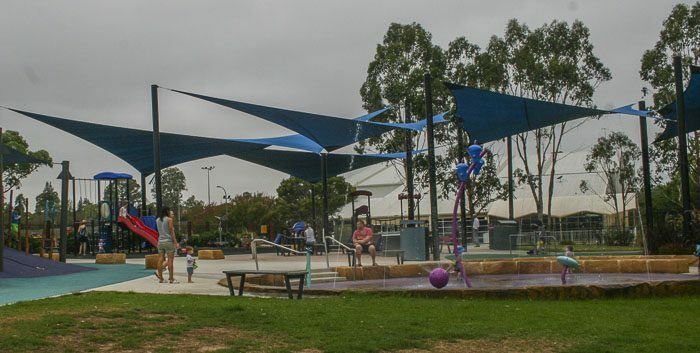 This playground is very popular, I have been here at many different times and it is never empty. On Saturdays, when there are lots of sports being played on the various fields, it can be extremely crowded and a bit boisterous for younger children. Mum’s report: We loved this park before, we love it even more now! We’ll catch you at the Bernie! 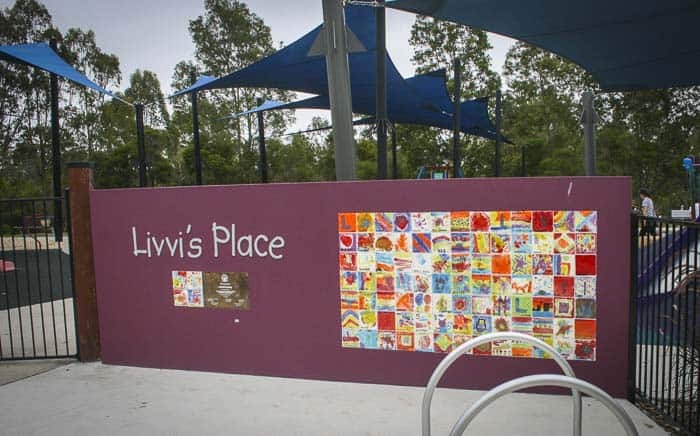 PS There’s a new Livvi’s Place at Bankstown City Gardens, check it out here.